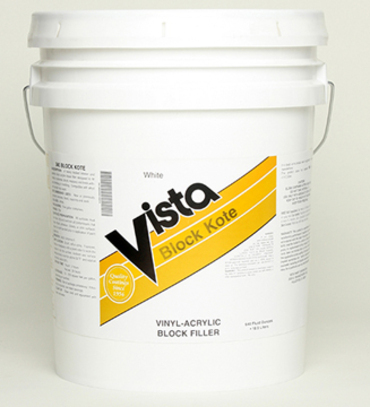 A premium acrylic interior/exteror heavy-bodied block filler designed to fill voids in concrete, block, masonry and brick without shrinking or cracking. Compatible with alkyd and acrylic top coats. Recommended Uses: New or previously painted concrete, block, masonry & brick.